Healthy puppies dewormed and 1st and 2nd round of shots. Both females are sold. 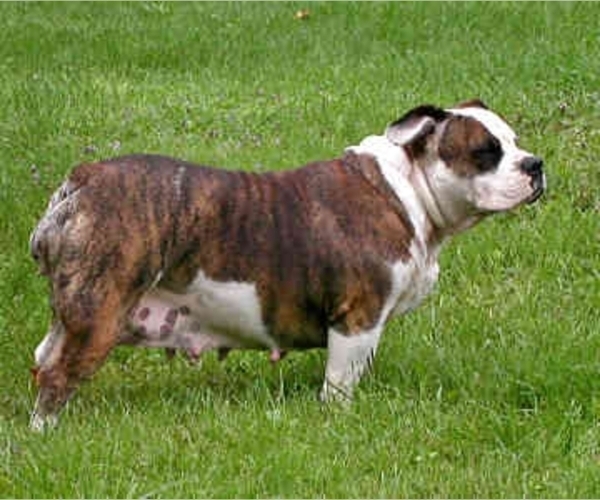 Overview: The Original English Bulldogge is a descendent of the dogs used in bull baiting. 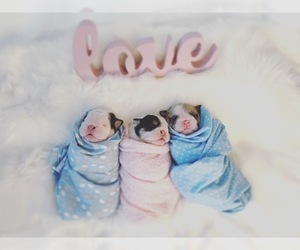 They are an indoor breed and are happiest with their family. Coat: The coat is smooth and the hair is short. 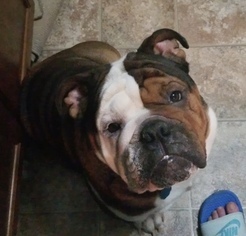 Character: The Original English Bulldogge is brave, strong and loyal. 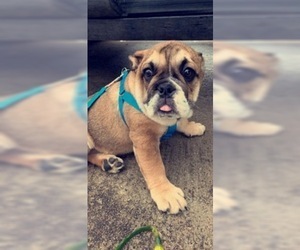 Temperament: The Original English Bulldogge is good with children. They get along with other dogs when raised with them. They become very attached to the family. Care: This breed only needs an occasional bath and brushing. Training: The Original English Bulldogge responds well to consistent, gentle training. 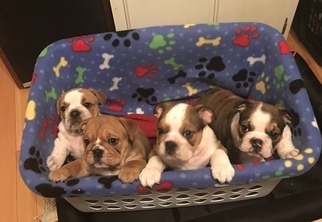 Gorgeous and wrinkly AKC English bulldogs born on March 28. 2 males one female. Full akc , and great bloodlines.